Networking in France. Is there a French School of Social Network Analysis? Social Network Analysis (SNA) is a sociology based on interaction that visualizes and models relations between actors. 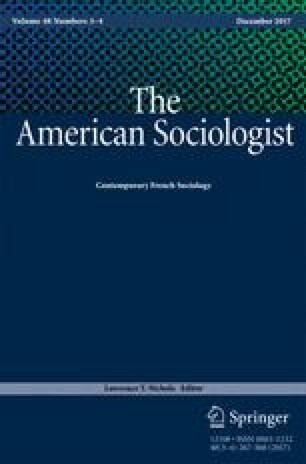 Whereas interaction is approached by classical scholars, we had to wait until the 1970s and the birth of computer science to see social networks analysis develop. This article investigates the influence of SNA in France from the 1980s and wonder if there is a French school of SNA? To do so, we first resume social networks history and highlight its contribution to sociology. Second, we analyze the trajectory and profile of five “disciplinary entrepreneurs,” whose role in the field is important as they master three necessary languages for SNA: English, Mathematics and Computer Science. Third, in order to put back those individuals in their social structures, we cross SNA with the different French sociological tradition(s) (according to topics and methods). Last, we wonder if the institutionalization process succeeded in the creation of institutions from which a French SNA would be able to expand? Ferrand, A., & Federico, A. D. (2014). L’analyse des réseaux sociaux en France: émergence (1977-1991) et diffusion des compétences (2005-2013). Socio-logos, Online since the 11th january 2014. http://socio-logos.revues.org/279. Accessed 7 June 2016.